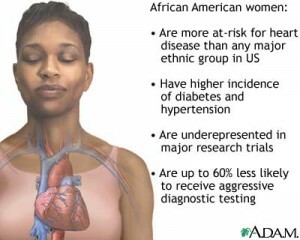 Heart Disease Is Still On The Rise in the African American Community! Heart disease is still the leading cause of death in the U.S according to the CDC. As a Registered Nurse for over 16 years, I have personally seen many people die, or live substandard lives because of heart disease and the other medical conditions that result from it. With all of the increased medical break-thrus and technology, why are so many people still dying from this horrid disease? Very simply, Galations 6:7-8 says be not deceived; God is not mocked: for whatsoever a man soweth, that shall he also reap. For he that soweth to his flesh shall of the flesh reap corruption; but he that soweth to the Spirit shall of the Spirit reap life everlasting. It’s not up to the medical professional to get rid of heart disease it’s up to us. African American adults are 50 percent more likely to have a stroke than their White adult counterparts. Further, men are 70% more likely to die from a stroke than their White adult counterparts. According to a CDC health interview survey also reveals that African Americans stroke survivors are more likely to become disabled and have difficulty with activities of daily living than their non-Hispanic white counterparts. Let’s not wait until it’s too late for us to begin our journey to Reign in Health and Fitness. I lost my grandfather to a heart attack and my grandmother to cancer, because they both lacked the knowledge necesarry to break the generational curse of heart disease and sickness that came from poor eating and unhealthy choices, in our family. What inheritance are we leaving to our children? I’m not talking about a financial inheritance, I’m talking about an inheritance of health and fitness that will allow them to enjoy all the blessings of God and be able to fulfill their purpose? As an author and motivational speaker I teach women how to Reign in Life! How to walk in their God given dominion and authority so that they can have success in every area of their lives. Reigning in Life begins with Reigning in Health and Fitness! I know for me personally, 75 pounds ago I was sick all the time, I was allergic to everything and I lacked the energy and self-confidence I needed to do what I knew God was calling me to do. I want to help you see the importance that prioritizing your health and fitness is to God . I want you have the strength to walk out God’s Will for your life each and every day! I want you to Reign in Health &amp; Fitness. unfortunately it’s not enough that I want it for you, it’s not even enough that God wants it for you. You have to want it for yourself, you truly have to want to Reign in Health &amp; Fitness and deem your health more important than all of the things that you have put before it up until this point. So you say I’m ready Shelita, what can I do to get started? Eat a healthy diet. Eat more fruits vegetables, whole grains, and healthy fats. Stay away from or limit processed foods, foods that have a long shelf life, and are high saturated fats. Maintain a healthy weight; get on a weight loss program to help you create a calorie deficit and begin to shed those unhealthy pounds. Exercise Regularly. Find exercises/activities that you like to do. Incorporate at least 30 minutes of moderate intensity exercise at least 3-5 times a week. Deuteronomy 5:33 says Ye shall walk in all the ways which the LORD your God hath commanded you, that ye may live, and that it may be well with you, and that ye may prolong your days in the land which ye shall possess. It’s time for us to Reign in Health and Fitness! « Previous Post The EPOC Effect is One Of the Fastest Ways to Healthy Weight Loss! 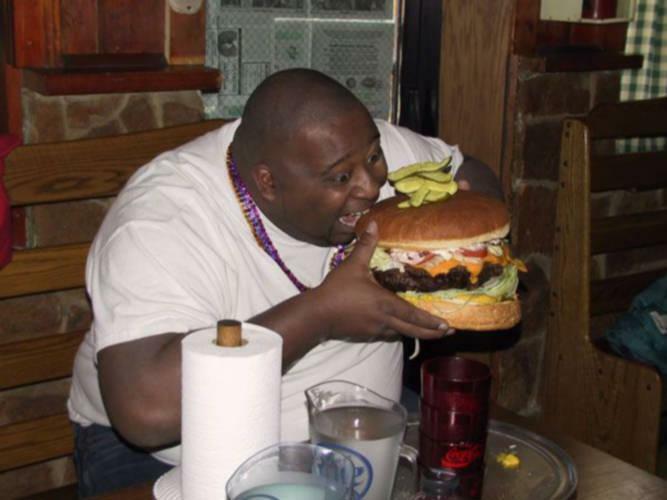 Next Post » What Can I do If I’m Still Hungry after I’ve had My Caloric Intake for the Day?